A sign advertises SNAP benefits at the market. At a table off the main drag at the Lafayette Farmer’s Market, market liaison Emily Colombo waits at a table with literature on the SNAP program and a plastic tub of the round wooden tokens, each worth one dollar, which SNAP recipients give participating vendors in exchange for their purchases. Colombo says much of the program’s success depends on making sure SNAP recipients know they can use their benefits at the market, and she’s sent informational fliers to local social services agencies to disseminate to their eligible clients—but getting the word out could take time. “It’ll just take a while for people to get their feet underneath them, and then I think we’ll get quite a few of them in,” says Adam Beck of Becks Family Farm, one of the vendors now accepting SNAP. Beck says the use of WIC program vouchers at the farmer’s market—which he also accepts—took a while to gain momentum. Colombo says her research into implementing the program has also stressed the importance of showing SNAP recipients how to get the most out of their benefits at the market. “All of them, universally, across the board have said that in order to really increase SNAP redemption and make a program successful you have to combine it with programming and educational opportunities,” Colombo says. But Colombo says the current market doesn’t have enough room to create a space for on-site education—like cooking demonstrations—that other markets provide. She says the market could cross-promote the nutrition classes offered by local social service agencies like Food Finders Food Bank. “Let it be an information center as well as the redemption area,” Colombo says. That type of initiative has yet to begin. The program also requires significant assistance in other areas to run properly. Colombo began actively soliciting volunteers through a United Way volunteer portal at the end of July. In West Lafayette, Development Director Erik Carlson says the market there plans to start redeeming SNAP benefits before the end of this year’s season. 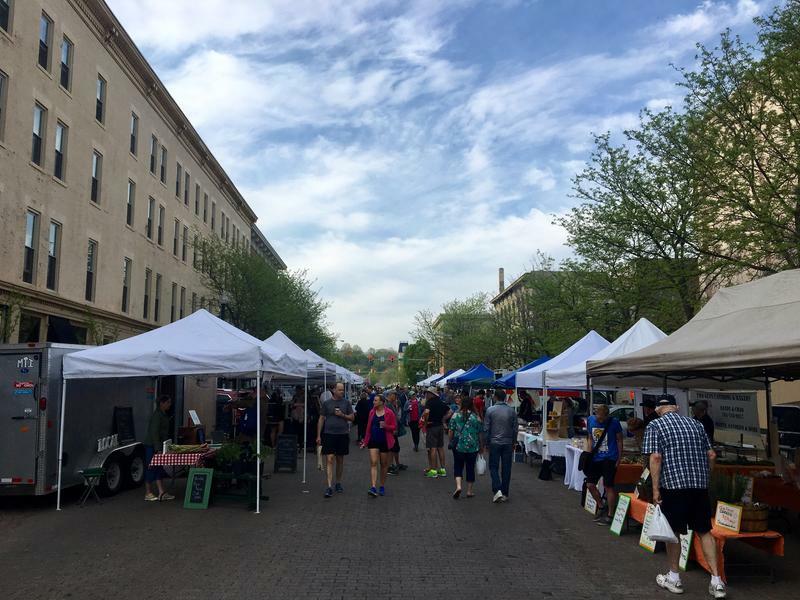 On Saturday mornings between May and October, a crowd converges on downtown Lafayette to visit the Lafayette Farmer's Market. 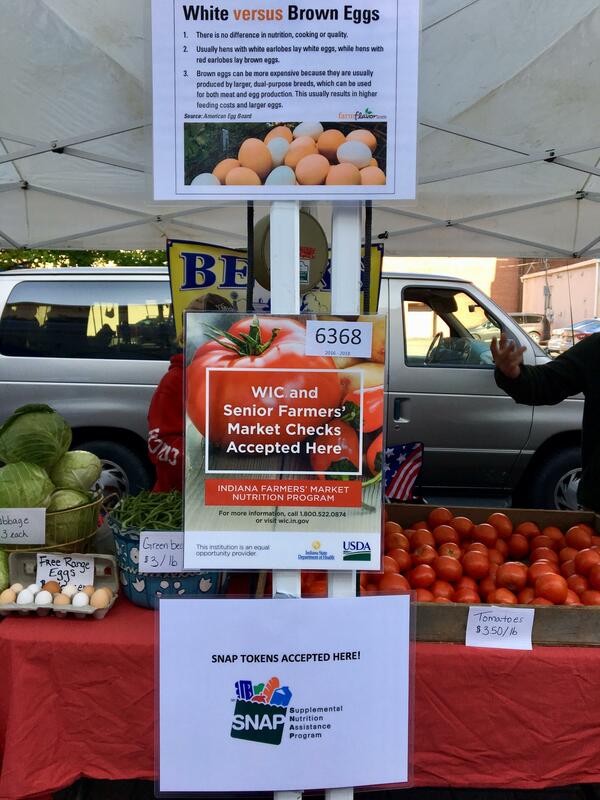 Though it doesn’t take them yet, it’s one of 75 markets in Indiana officially authorized to accept benefits from the federal Supplemental Nutrition Assistance Program, or SNAP.